Well that was expected! They a very poor customer-care after sale. I bought htc desire and i were very happy, but after only 6 months, they forgot about it and there were not updates available for it! They socks! samsung is killing everyone else in the android world, its obvious. Between Motorola (google) and Samsung, I wonder if the others have any chance at all. Barfman, 07 Jun 2012The HTC One S has a Super AMOLED... It's worth looking before commenting.that's one model. what good is a phone when you cannot use it outside? same old looks same old design crappy software with full of Force Closures. obviously your earnings are not good. The reason I didn't go for One X is poor battery performance comparing to S3 and less performance than S3. But still considering to go to One X is for Beats Audio and Tegra 3 name and less price comparing to S3. dart, 06 Jun 2012Well, no Amoled screens and down you go, HTC.The HTC One S has a Super AMOLED... It's worth looking before commenting. Stranger, 06 Jun 2012HTC is one amazing company that came up with brilliant phone. They were the ones who introduce... moreSAmsung is the shittest company? how come no phone can still match S3....S3 has many specs and good battery life (up to 48 hours) and have a simple design and feeling...great build quality (if you dropped intentionally it would totally broke) compare SAMSUNG to HTC..
AnonD-24171, 06 Jun 2012From your language i can see you are the one who is... What you said about Samsung http://3.b... moresumsong guy?????????? 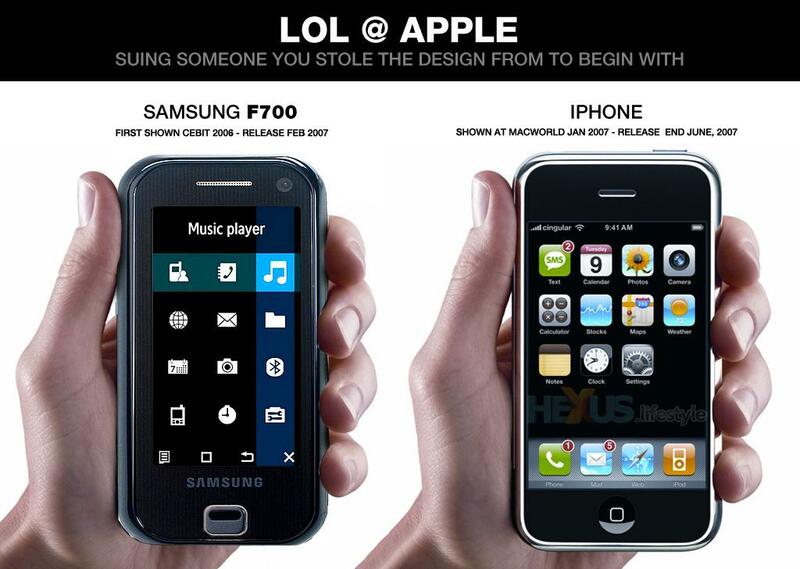 no apple didnot copy sumshit for sure that phone in the photo had a keyboard and it wasn't that much look like iphone. AnonD-24171, 06 Jun 2012From your language i can see you are the one who is... What you said about Samsung http://3.b... moreDon't troll dude. That way you can't make your loved brand the best. Got me a HTC Desire HD that I love but need to replace it after more than 1.5 year. No way I buy a HTC that doesn't take memory cards or having a replaceble battery. HTC has the worst video recoding quality i ever seen, Check Youtube for samples they are all awful, And a lot of limitation non user replaceable battery No micro SD, And i don't think it's a solution to carry a flash disk with you and it will drain so much battery. Samsung is the best if you like it or not. The Htc One S suppose to get them back to the top, but they have ruined it. Most ppl prefer the S3 than One X. Samsung don't want the 4.3" market, so Htc should attack the 4-4.3" market. They change the One S incredible S4 processor and make the asian boycott the HTC. Even taiwanese hate their own local brand now. The only way Htc can win is go back to the S4 processor, before it is too late to gain the trust from the customer. NO!, 06 Jun 2012not so brilliant now u money suckin whore! tons of htc devices still waiting for ics but nothi... moreStick with Nokia, despite having financial problems they still make awesome phones.currently have an N9 amazing. Well, no Amoled screens and down you go, HTC. on top of everything, HTC being bad to their customers with the HTC One S black chipping away in the first week, its no brainer why HTC has losses. No backing up their quality control or accepting the poor quality of the MAO is one of the reasons why they lost customers. I am one of them, who after changing 3 handsets, all of which chipped within a week, got refunded and got myself a samsung galaxy S3 instead. No heading back to HTC after this.